Metal Works is a community of industrial style loft homes with covered patio spaces. Enjoy all the benefits of a home located at 920 Memorial Drive near Historic Oakland, and walking distance to the development in and around the Atlanta Beltline, Glenwood Park, Cabbagetown, and Reynoldstown. Love living near Historic Grant Park and Zoo Atlanta. 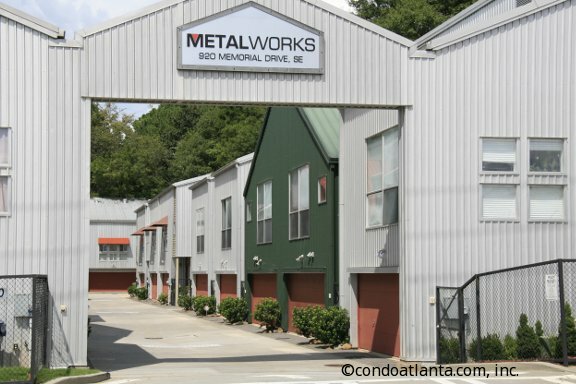 Metal Works homeowners are also situated just a short drive to Ormewood Park, East Atlanta Village, Edgewood, Inman Park, and Freedom Park. Commuters will appreciate access to travel routes along Memorial Drive, Moreland Avenue, and I-20.